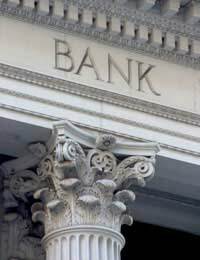 Approaching a bank for new business advice can be a daunting task. Trying to sell your ideas to a large bank can seem like an unrealistic goal for many people. New business funding is one of the most difficult areas to get approval in from a bank because they need to know that you’re able to back up your ideas with action, rather than thinking you may not have considered all the negative outcomes that can arise from a new business venture. The collectibles business can be very lucrative, but as with any other business, you need to ensure you have a rock solid business proposal in place before you go to the bank. Banks think in numbers – that is the core area of the proposal they will be interested in. You can spend many hours creating an exciting hook in your proposal, that may show them your commitment, but ultimately if the numbers don’t add up, they won’t be interested. Your proposal should show that you’ve worked out a realistic growth area for your business and your profit and loss figures should account for every eventuality. Around 70% of people look to banks for their new business funding, so having the proposal sorted out right at the beginning can be essential. Most banks will be able to provide you with banking advice based on the proposal you take to them, but many will warn you that the loan they give you will be secured, most likely on your home. This is one of the dangers of the small business owner – often it’s necessary to put everything on the line to get your dream of a collectibles business of your own. There are of course other options, but your initial proposal could be the difference between the bank thinking that you’re a ‘safe bet’ or a risk. If you’re not sure how to write your own proposal, why not employ the services of a specialist. Anything that can go towards getting that much needed business loan from the bank is a worthwhile investment. What extras does the bank offer? – Look for free statements, fee-free periods, no overdraft fees or transaction fees, credit cards etc. Commercial Loans – The most common loan available. Can be found in most high street banks and other lenders. Your business borrows money and repays it over a number of years at a variable or fixed interest rate. Capped Interest Rates – In most cases, business loans are available with fixed or variable interest rates, but capped rates are also available. The capped rate means that you benefit from any decrease in interest rates, but you’ll never be pushed over the agreed interest for the capped period. Trade Finance – Could be considered for collectibles business as the finance is purely to meet the outlay required to purchase goods, even if it’s some time before they’re sold on for a profit. Personal Loans – Common for small businesses such as memorabilia and other individual retail stores. The personal loan is given to the individual who then uses it to invest in a new business. If you’re planning to seek new business funding or advice from the bank, there are certainly plenty of considerations to be made. Primarily though, ensure your proposal is good, shop around and be aware of the different products on the market and how they might affect you.